My baby is no longer a “baby,” he’s officially a tween. I saw this day coming a few years ago when Little Ricky grew smarter and had an answer for everything. The fact of the matter is, he’s going into Middle School in August and I can’t stop him no matter how hard I try. I remember being in Middle School. The weird awkward phase where I hadn’t quite grown into myself. The hormones were out of hand messing with my body, my complexion, and my features. I thought I was “too cool for words” and was always giggling with my friends over which boy we thought was cute that week. I know that as a tween, Little Ricky will also begin going through this phase. The difference between my adolescence and my son’s: cell phones. Cell phones were something that you only saw on TV (I mostly saw Zack Morris with one on Saved by the Bell!) and even then, they were reserved for the rich. Nowadays everyone has them. You can’t even go 2 inches without bumping into someone on their cell phone. We thought long and hard about this decision and came to the conclusion that Middle School was the ideal time to allow Little Ricky to prove his responsibility with a cell phone of his own. No, we didn’t go out and buy him the latest iPhone around. As a matter of fact, he’s been using my husband’s old phone as an iPod for quite some time. We simply turned it on. Now as a person with Type-A tendencies I, of course, needed rules for him to follow. I wanted him to know that we mean business and that this wouldn’t be something that we would just let him do with as he pleases. I created a contract for him to follow. My husband and I decided that the summer would be the best time to try it out. This way he would learn the rules that we put in place and get used to the consequences for breaking those rules. We also figured that since it was summer, he wouldn’t have as many people to call or text, so we could start the process slowly. We had him read each line aloud to us before initialing to make sure he understood. My biggest fear isn’t that he will be on the phone with his friends. My biggest fear is that people hide behind technology and are hurtful. I don’t want to see him get hurt and I especially don’t want him to hurt others. I always say that I’m lucky I didn’t grow up in the technology age…things are so complicated. Bullying has become so much more than it was in the past. Now it’s out there for all to see and once it’s on the internet, it’s forever. The sad part is, my kids are growing up today. They are going to be affected by amplified bullying in so many ways. I just hope that I’ve raised them to know that they should not contribute to such behavior. Little Ricky wants adult privileges, so he has to consent to take on the role of a trustworthy person. I know it will be like a full-time job for me to be on top of him with his new responsibility, but it will be worth it. If I can help him to be a conscientious user, then I’ve done my job. 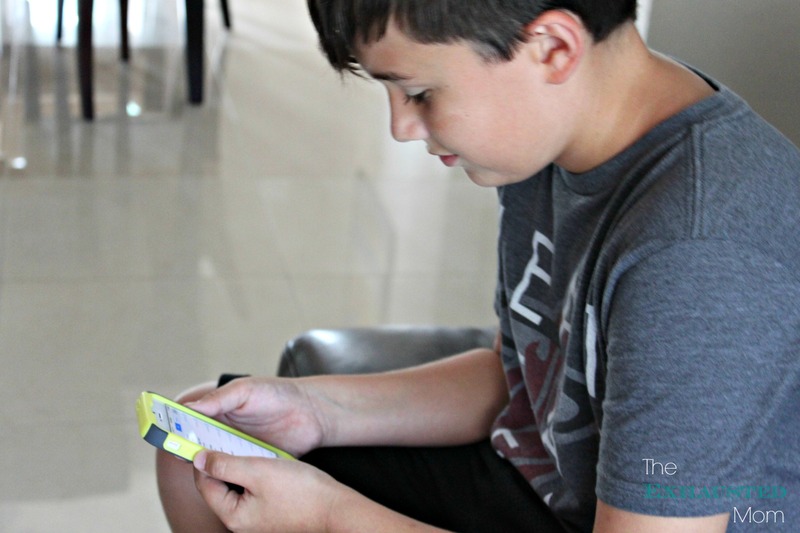 Have a tween who’s ready for a cell phone? Use this FREE contract to keep them mindful of their privilege. Interesting article! 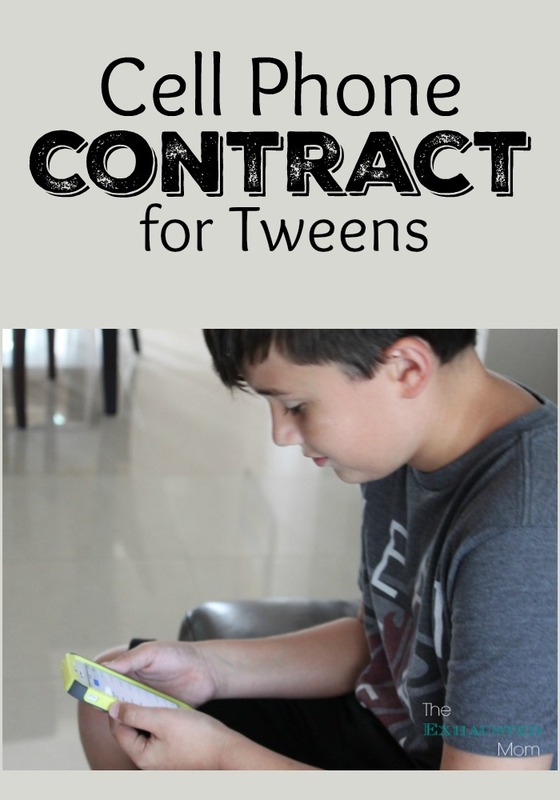 I never thought of a contract before, but that’s a great way to help control what goes on with his phone. Not to mention if he has a misstep, we can pull it out and show him that he signed it! I LOVE, LOVE, LOVE this idea. I can’t tell you how many conversations we’ve had in my home about the items on that list!! Yikes that day is coming for me. I’m really not ready for my baby to grow up! 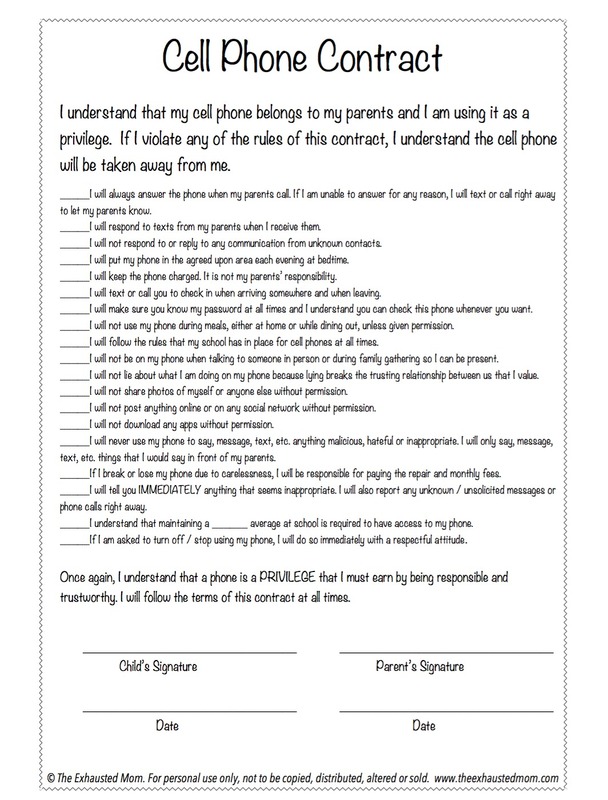 Great idea, but I don’t know if making it that detailed helps or hinders the trust, since many teens will sign it because they want the phone but won’t necessarily follow the detailed rules. I guess it would amount to how much trust I already have with the teen in question as to how detailed I would get. Great point, Marty! Although it’s not so much me not trusting my son, but not really trusting who he is communicating with…especially if they are kids of families that I do not know well. He knows that I regularly check his phone, since technically, it’s my property since I pay for it. Agreed that it’s so hard to monitor who kids are talking to on cell phones, it’s so scary and you hear so many horror stories. 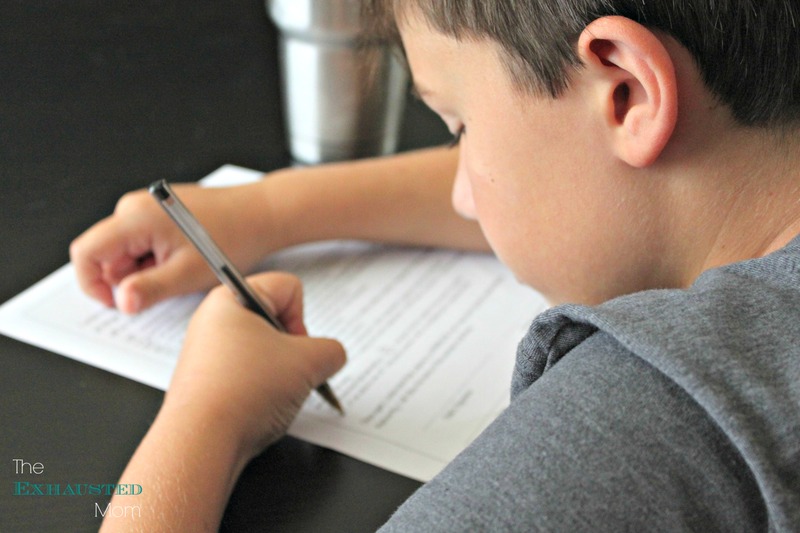 You should do an update if having such a detailed contract works out well for your son and family, I’d be interested to hear how it works out! 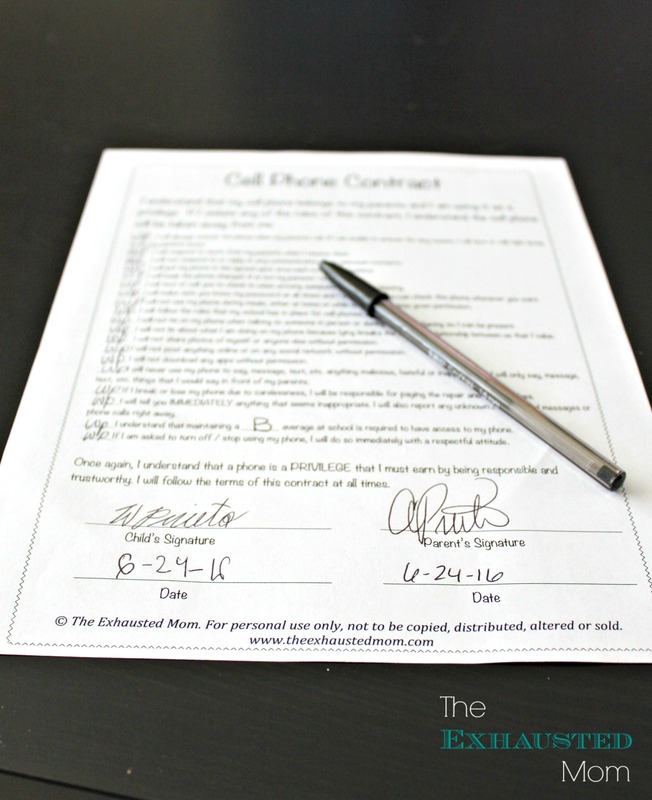 Love your phone contract! Pinned it to share it with my readers! 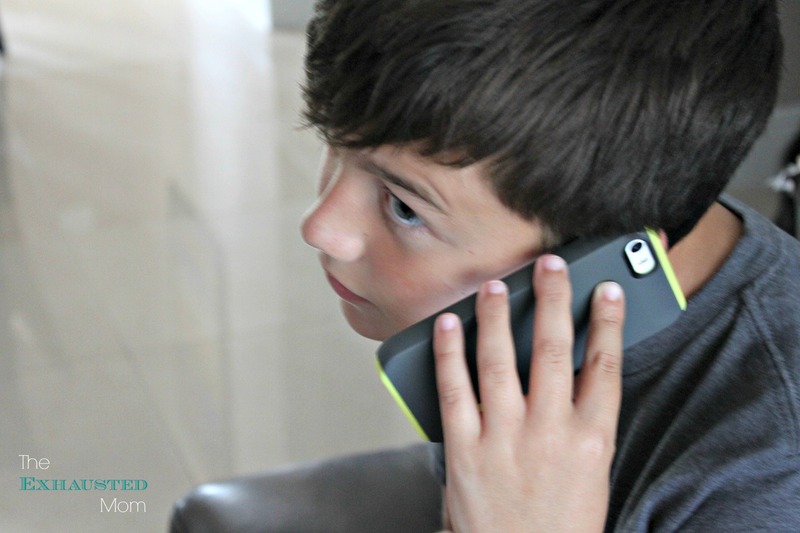 Besides what age is right for a cell phone, where to find a cell phone contract is a question I’m frequently asked!